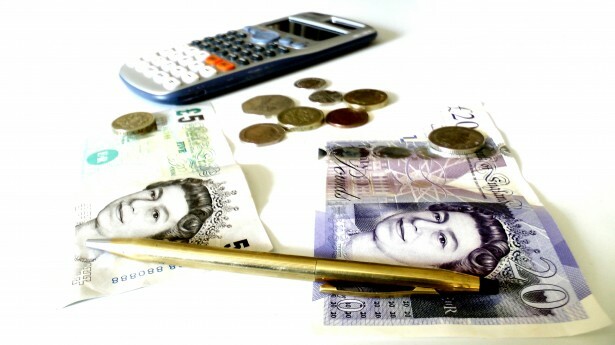 After the initial excitement of earning a place on the Advanced Materials MSc course at Cranfield began to settle down, I started to feel anxious about how I would deal with funding and living expenses for the year, especially as a student with no income. Accommodation, food, travel, tuition fees – it was all getting a bit too much for me. I was so stressed that at one point I contemplated declining my place on the course and staying in France to avoid that much expense. However, after doing some funding research, I realised that I could get some help from ERASMUS (the European Union programme for education) who could give me a grant towards my tuition fees. But it wasn’t going to be enough. I would also need money for a year’s worth of accommodation, food, travel and other living expenses. So I made a big commitment and got a bank loan of several thousand pounds. I was really afraid to begin my professional life with a loan. I would need to find a job very quickly after my studies, but overall I knew I was making an investment in my future and my career. Some people invest in real estate… I decided to invest in my studies. But I needed to figure out what was going to be a realistic budget for the year, and although I didn’t have a clue at this point, I can now give you a first hand account of my expenses for my year at Cranfield. I live in a flat that I share with my boyfriend, for which my contribution is £350 per month. After rent, my biggest expense is food. I eat a lot but thanks Lidl and the Bedford market, which are both really cheap and local, I spent around £25-£30 a week which covered breakfast, lunch and dinner. For travel, a return bus ticket to the local cities, Bedford or Milton Keynes, costs only £3. I also spent around £10 a month for 4 laundry sessions – an important addition to the budget! From the basics to leisure, I travelled a lot during my year in Cranfield, and visited somewhere new at least once a month. I went to Edinburgh, Bath, Cornwall, Wales, Cork, Peak District, Lake District, Paris, Nimes, Copenhagen and of course London a few times. For each trip, I spent at least £100. And finally, I budgeted around £60 each month for pleasure which included having drinks, hanging out with friends, going to parties and shopping. So in total I spent between £7000 and £8000 for the whole year, but believe me I have enjoyed every minute and travel a lot. It was an incredible experience that I am so pleased I didn’t miss out on. Cranfield equipped me with all the tools I need to get a good job and pay back my loan quickly. As a bonus, I have met a lot of good people and discovered so many different cultures which has given me a better and nicer vision of the world. Read my previous blog about coming to Cranfield as a couple, and how I managed to find couples accommodation. Visit our website to find out more about life at Cranfield, from accommodation options to shopping, living expenses, travel, things to do in the local region and much more.